New President Hotel, 20 Taha Hussein St. This year, Sheikh Zayed restaurant, Izakaya, introduced a new fusion of Peruvian and Japanese cuisines and has been a hit with diners. 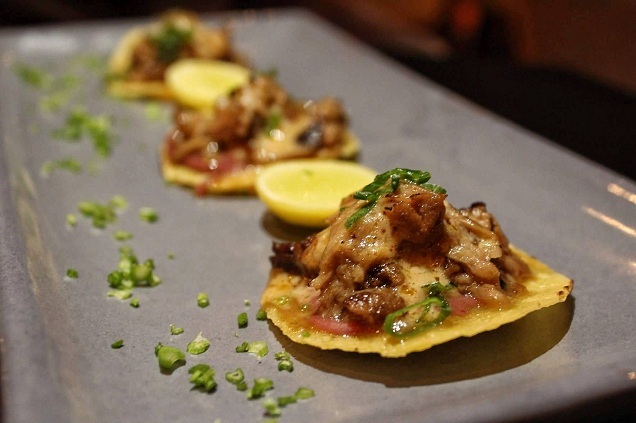 It’s been such a hit, in fact, that the same team behind it have also opened Mezcal; a restaurant in Zamalek that serves, as they call it, ‘new age’ Peruvian and Mexican cuisine. Located at the New President Hotel on the same floor where Amici once stood – Mezcal’s kitchen is now where the bar was – the spacious restaurant and bar has a good variety of seating arrangements; comfy, living room-like couches, high tables next to the huge bar and more basic tables-and-chairs arrangement for dining. The cool, dark colour scheme, the fer forgé elements and calm lighting come together for an elegant ambiance. Our finger food fiesta of appetisers started with Shrimp Tempura Taco (80LE); two mini soft-shell tacos, each filled with a piece of jumbo shrimp coated with a flawless tempura batter, which is complimented by fresh pico de gallo, a mild spicy kick from the chilli mayo and richness of the creamy avocado, as well as extra pickled green chilli pepper and a zesty squeeze of lemon. 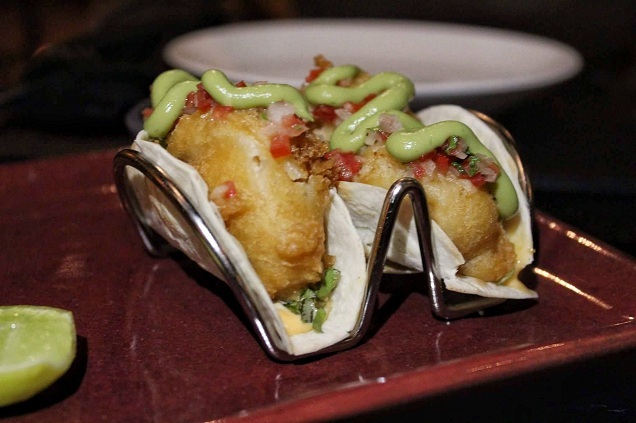 Despite being smaller than one might expect, the shrimp tempura tacos had a terrific balance of flavours. The small portions extended to the Pulled Beef Tostada (70LE), too, but so did the big flavours. The dish came in form of three mini, circular, deep fried tortilla chips topped with pulled short rib meat, parmesan cheese and chalaquita. We loved the integration of the Peruvian chalaquita which replaced the more Mexican-used pico de gallo, and the choice of tender short ribs was perfect for the beef centrepiece. 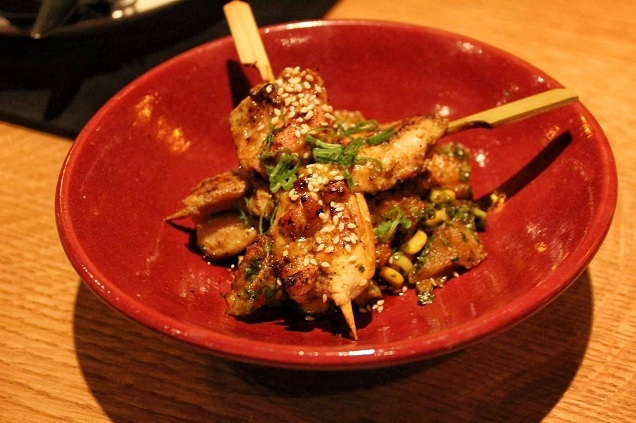 When it comes to the two cuisines, Peruvian is more dominant in the main dishes, but there’s an Asian influence that is apparent in the Chicken Anticucho (90LE) which had an exquisite marinade that consisted of aji Amarillo – yellow hot pepper paste – apple cider vinegar and pineapple teriyaki. Impressively, each component of the marinade contributed to the overall flavour – the pineapple surprised us the most – and made for delicious and tender chicken thigh skewers full of sweet and spicy flavours. Meanwhile, the side of corn and crispy potato cubes salad under the skewers absorbed some of those flavours, too. The Chifa Baby Chicken (145LE), meanwhile, was excellent, despite the skin needing to be a little crisper. The tender chicken is smothered in a mixture of Sriracha, Oyster sauce (more Asian influence) and Peruvian chilli, and although it’s delicious, this is a dish that only real lovers of spicy food will be able to handle, thanks to the generous use of Peruvian chillies and Sriracha. We finished our meal with the magnificent Tres Leches (75LE) for dessert; a super-moist sponge cake soaked in a mixture of three types of milk, surrounded by mixed berries and chocolate chips and topped with whipped cream and a dust of cinnamon. 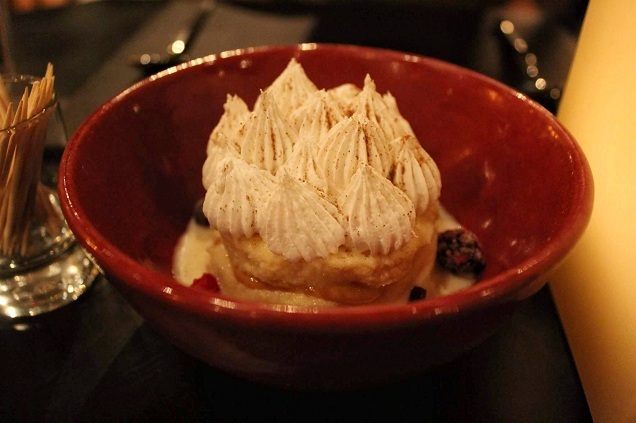 In short, the dessert was perfect; the cake had a strong caramel flavour which worked perfectly with the cinnamon, the occasional chocolate burst from the chocolate chips was a nice surprise and the whipped cream and mixed berries balanced the overall sweetness. All in all, there was little to complain about at the time of our visit to Mezcal. We were impressed with the staff’s knowledge of the complex dishes, the elegant ambiance was perfect and the food was full of bright, complex flavours – we just wish everything was a little bigger. 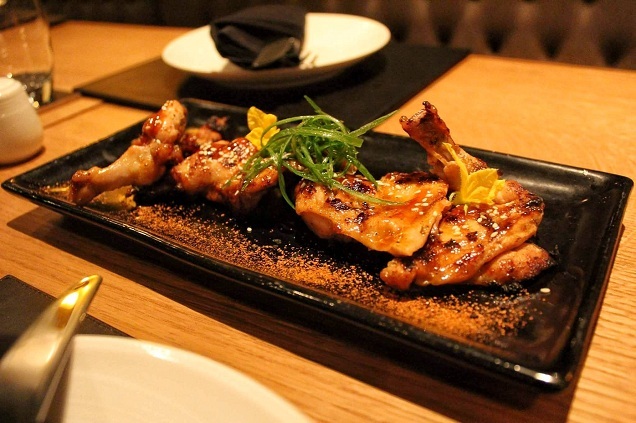 If this all sounds mouthwatering to you, check out our review of Izakaya for a different take on Peruvian food. 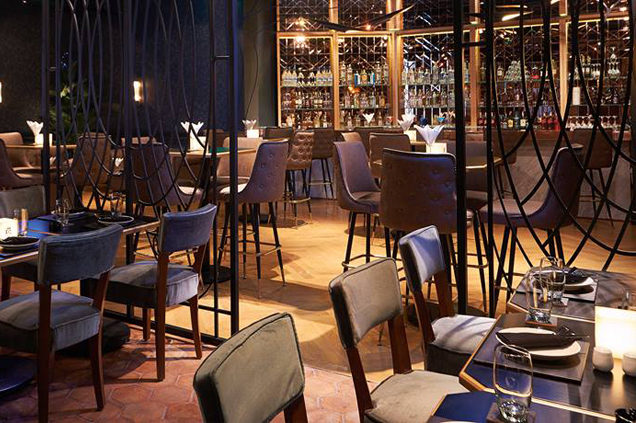 Fantastic, complex dishes that you won't find anywhere else in Cairo. Big flavours, but small portions. My experience did not match that of this reviewer. When I entered the restaurant at 8:00 PM on a Saturday night, with a party of six, and found the restaurant empty, I should have been suspicious. The experience was not good, especially not for the price. The waiters nearly insisted we order drinks. The food itself was disappointing, as if the chef had only read about Latin American cuisine. Plus, the portions were indeed very small! Only the decor met my expectations. When we left, a waiter asked if we would visit again. I will, when this restaurant inevitably fails and a better one takes its place. Tried it and loved it. Everything from the decor, atmosphere and food is fantastic. It's always great to see newcomers of this quality in Cairo. More of the same please! Tried it and loved it. Everything from the decor, atmosphere and food is fantastic. It’s always great to see newcomers of this quality in Cairo. More of the same please! My experience did not match that of this reviewer. When I entered the restaurant at 8:00 PM on a Saturday night, with a party of six, and found the restaurant empty, I should have been suspicious. The experience was not good, especially not for the price. The waiters nearly insisted we order drinks. The food itself was disappointing, as if the chef had only read about Latin American cuisine. Plus, the portions were indeed very small! Only the decor met my expectations. When we left, a waiter asked if we would visit again. I will, when this restaurant inevitably fails and a better one takes its place.